A Rite Aid in Philadelphia. Rite Aid Corp. said it will part ways with its top managers and shed about 400 jobs, cutting about $55 million in costs as the drugstore chain tries to turn itself around. (Bloomberg) — Rite Aid Corp. said it will part ways with its top managers and shed about 400 jobs, cutting about $55 million in costs as the drugstore chain tries to turn itself around. Chief Executive Officer John Standley, Chief Operating Officer Kermit Crawford and Chief Financial Officer Darren Karst will all step down, Rite Aid said in a statement Tuesday. Rite Aid has gone from a bastion of the American drugstore landscape to a shell of its former self after selling a large chunk of its stores to rival Walgreens Boots Alliance Inc. It has reported a loss for three quarters in a row, while analysts have cut their ratings. The stock now trades for less than a dollar — down from nearly $50 in 1998. In the past two years, Rite Aid has seen multiple mergers fall through, leaving an uncertain future for the company with no clear end game. In 2017, a proposed tie-up with Walgreens fell apart amid antitrust scrutiny by U.S. regulators. In August 2018, another proposed merger, with supermarket chain Albertsons Cos., was called off after two prominent proxy advisers recommended that shareholders vote against it. In a statement after the announcement, Rite Aid spokesman Chris Savarese said that the changes aim at “more closely aligning the structure and leadership of the company with the scale of its operations.” The departures “are not at all a result of any wrongdoing,” he said. The job cuts will eliminate about 20 percent of the corporate positions at the company’s Camp Hill, Pennsylvania, headquarters and elsewhere. About two-third of the cuts will happen immediately, with the rest by the end of fiscal 2020. The changes will result in a $38 million charge. 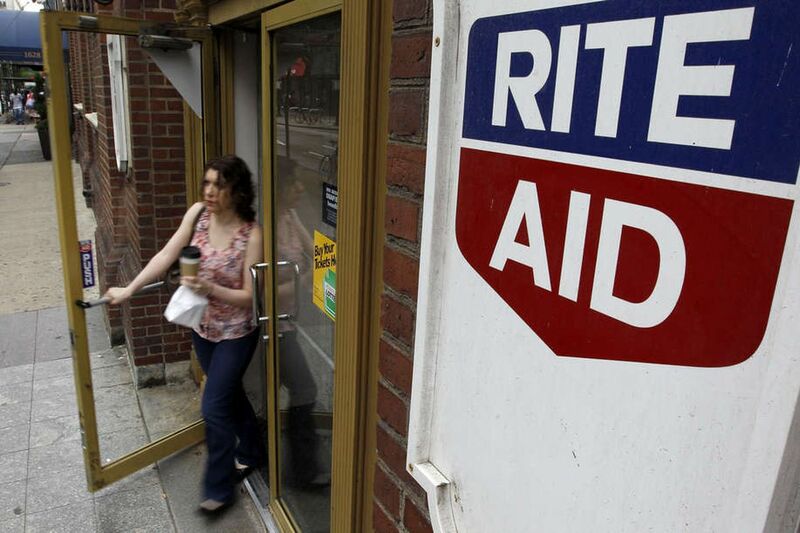 Rite Aid shares were volatile in late trading on Tuesday, swinging between gains and losses. The shares have lost 60 percent of their value in the last 12 months. —With assistance from Drew Armstrong.